En un comunicado de prensa se ha dado a conocer la nueva alianza entre la estación de Radio ESPN Local Radio Group y Seattle Sounders Women / Sounders FC U-23. Esto le da el tíitulo como la estación oficial de estos dos equipos en español. Se transmitirán partidos en vivo, contenido semanal, comerciales, redes sociales y contenido online. Además, contamos con la tercer hora de Latinfut Radios Show con la hora especial de las Sounders Women y Sounders U-23 con la participación de la voz oficial de estos equipos, Bill Umañs. Así como los hosts del programa, Diego Arrioja y Paco Díaz. Todos los sábados de 12 del día a 1 de la tarde! TUKWILA, Wash. – The Seattle Sounders Women and Sounders FC U-23 have partnered to ESPN Deportes Local Radio Group to make the Spanish radio station the official Spanish language radio station for Sounders Women and Sounders U-23 soccer. ESPN Deportes Local Radio Group will broadcast select matches for both teams and include team info in weekly radio content, commercials, social media, and online branding. The local ESPN Deportes Local Radio Group program, LatinFut has extended its program to 10am-1pm to include additional Sounders Women and Sounders U-23 content. Hosts Diego Arioja and Paco Diaz will now be joined for the last hour by the Official Spanish Voice of Sounders Women and Sounders U-23, Bill Umana to discuss team affairs. 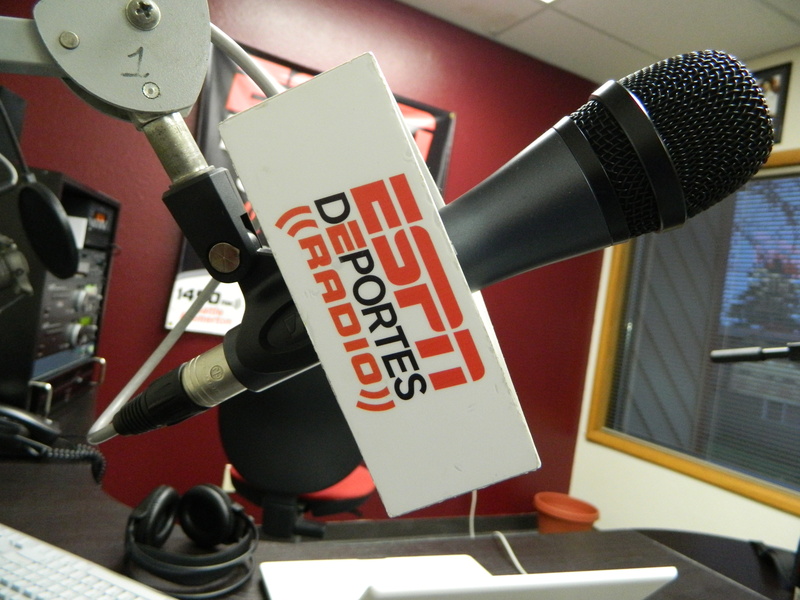 In addition to weekly show content, live matches will air on ESPN Deportes Local Radio Group. Up to five games during the 2013 season will air. For more information on ESPN Deportes Local Radio Group or the Sounders Women, see ESPNdeportesseattle.com. …is comprised of an AM Station in Seattle, an AM and FM Radio Station in Tacoma, and an AM Station in Olympia. We are owned and operated by Seattle Streaming Radio LLC owners of television stations and radio stations in other markets around the United Sates. … is a Spanish language sports radio network created and produced by Disney-owned ESPN. The 24-hour programming includes live game-day soccer, call-in talk shows and commentary from hosts about a full range of sporting events, including soccer, American football, baseball and boxing. With multiple hours of locally produced programming, ESPN Deportes Local Radio Group is simply an extension of the brilliant ESPN brand reaching the growing Hispanic communities in Western Washington.